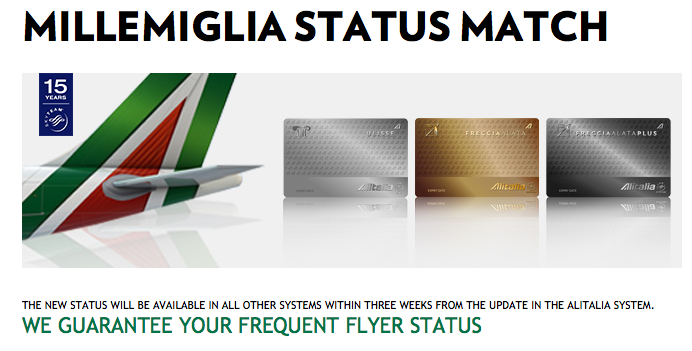 Alitalia MilleMiglia has extended their great status match offer to January 31st. However status is only granted to March 31, 2016 so you won't have it for too long but perhaps long enough where you can get another airline to match that status!! Find out more here. 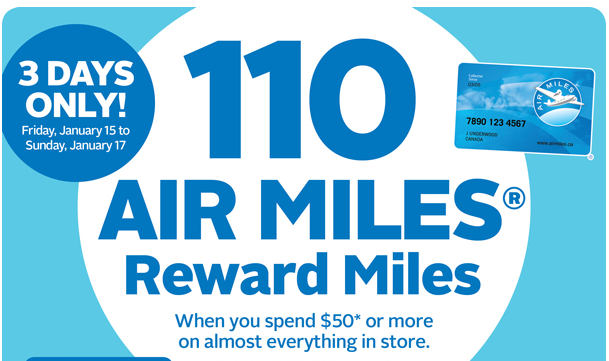 Another AIR MILES bonus for shopping at Rexall this weekend. This is one of the biggest bonuses we've seen. 110 Reward Miles if you spend $50 or more. No coupon is required. View from the Wing outlines the return of Marriott Rewards' offer to use points to buy back/retain your status. In case you missed the Hilton HHonors status match offer that ended earlier this week, here is a way you can speed your way to getting Gold. Hilton and South African Airways have teamed up to offer SAA Voyager members a fast track to gold status whereby you'll get the elite status level after only three stays. Find out more here. KLM have launched a great seat sale for their flights out of Canada just like their partner Air France! Simply book by Feb 4 for travel throughout most of this year! There are great deals in both economy and business class. Find out more here!